We present the most interesting projects in the INDUSTRY category. The Government of Serbia seemed to have worked as hard as it could to attract local and foreign investors in 2018. Factories were opened and investments entailing several thousand new jobs were either announced or initiated in over twenty towns in Serbia. The media focused on RTB Bor and its new strategic partner Zijin, which placed high on our list. The Chinese company fulfilled its promise and entered 2019 without any debts toward Serbia. The Government of Serbia has big plans for RTB Bor, which eKapija is sure to report on in the upcoming period. Prominent projects also took place in southern Serbia, aiming to revive the industry in this part of Serbia. There was a lot of media attention given to the opening of Aptiv in Leskovac, where electrical installations for the car industry are produced and which, as announced, will employ as many as 2,000 people by 2020. Last year, Zumtobel in Nis was at the top of the list. It placed high again this year, which shows that this EUR 30 million investment was one of the more important ones when it comes to Serbia`s industrial sector. The first spot features the industrial complex MIND Park in Kragujevac, where the first AMM Manufacturing plant opened on December 7. The company produces rail vehicle components and is owned by Bratislav Milanovic. Germany`s Siemens, which took over the Kragujevac-based company Milanovic Inzenjering in early February 2018, will also operate within MIND Park. The construction of the industrial complex began in April 2018 on an area of 150 hectares, and the complex is located in the Sobovica-Luznice location, 12 kilometers from Kragujevac. So far, the first factory of MIND Group, for the processing of aluminum, has been completed, and the construction of the second one, for the processing of steel, which should be completed in March 2019, has begun. The construction of Siemens` plant where the German investor will produce trams from July 2019 began in September 2018. The state invested EUR 10 million in the infrastructure of this factory. The second spot belongs to Aptiv in Leskovac. The plant was opened in January 2019 by the British company Delphi. The factory will produce electrical installations for the car industry. Around 2,000 people should be employed by 2020. EUR 25 million was invested in the factory complex, which takes up 30,000 square meters in the Green Zone location, and the Town of Leskovac let the British company use six hectares for this purpose. Let us remind that Mayor of Leskovac Goran Cvetanovic held a meeting with representatives of Aptiv on June 27, where the completion of the equipping of the Green Zone with utilities, the construction of traffic routes in the zone, and the development of sewerage were discussed. The American company Adient, a member of Johnson Controls, a producer of car seats and car interiors, placed third on our list. As the town authorities announces, there will be jobs for 1,500 people in Loznica. On June 16, Loznica celebrated the Town`s Day, on which occasion Mayor Vidoje Petrovic announced the arrival of two large foreign companies (China`s Minth and Adient), which would employ 1,500 people each. As eKapija learned from town authorities, the test run at Adient has begun, but the town didn`t want to disclose more details about this investment. Also, as town authorities announced, Rio Tinto is also interested in Loznica and their potential investment is estimated at around USD 1 billion. The Chinese company Zijin, which officially took over RTB Bor on December 18, 2018, placed fourth. The former general director, Blagoje Spaskovski, will remain under contract for another three years. He said that he would keep “trying to contribute to the development of RTB and the town of Bor”. Zijin has repaid absolutely all RTB Bor`s debts from the Pre-Packaged Reorganization Plan (PPRP). The debt toward EDC Bank for the foundry and the new sulfuric acid facility has also been fully repaid. A total of 11 billion and 210 million dinars was paid to state institutions, whereas EUR 23 million and USD 42.2 million was paid to the Canadian bank. 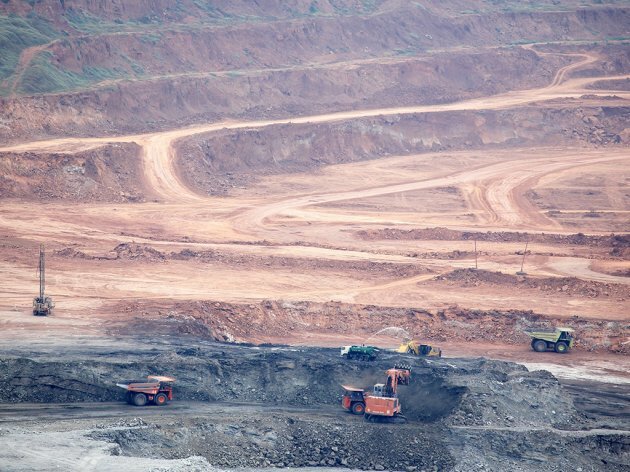 Once Zijin completes the activities in Serbia related to RTB Bor and Cukaru Peki, Serbia will be the third biggest producer of copper in Europe with an annual production of 200 to 250 thousand tons of copper a year. The fifth spot features the Vorwerk factory, which will produce components for the car industry and where over 1,000 people will work. In the industrial zone in Preljina, on an area of six hectares, the first machines for the production of rubber parts arrived to one of the factory halls in late 2018. Four machines for this highly sophisticated production process are being installed. Mayor of Cacak Milun Todorovic recently stated that the German company was employing in the town. The investment is worth over EUR 50 million, and the plan is for the facility to be expanded to around 65,000 square meters over the next six years. Siemens and its factory near Kragujevac placed sixth. The factory for aluminum passenger train car bodies was built in the Industrial Zone Sobovica near Kragujevac, and the first deliveries are meant for the Austrian railways. As said, the factory will also start producing tram components soon. In November 2018, the media wrote that the German giant would soon employ another 2,000 workers, in addition to the 500 employees hired through the takeover of the factory from Milanovic Inzenjering. Siemens has so far built halls on around 40,000 square meters, and the plan is for them to take up around 60,000 square meters. The seventh spot belongs to the Chinese company Shandong Linglong. Its representatives signed an agreement on the construction of a car tire factory in Zrenjanin, in which around a billion dollar will be invested and where 1,500 people will work, on August 23, 2018. The agreement was signed by Serbian Minister of Economy Goran Knezevic and the chairman of the Chinese company, Wang Feng. Serbian President Aleksandar Vucic announced that the foundation stone for the construction of the Chinese company`s factory would be laid in February 2019. Let us remind that the town of Zrenjanin provided 136 hectares of land for the construction of the facility, and the plan is for the works to begin in April 2019 and to be carried out in three phases by March 2025. The Chinese company intends to produce 13.62 million radial tires in Zrenjanin a year. The company`s portal says that the decision to invest in Serbia is down to the low investment, construction, labor and energy costs, compared to other countries in Europe. The eighth spot belongs to the Indian company TAFE, which signed the agreement on the purchase of IMT Beograd in April 2018. On April 2, 2018, IMT was sold to the only bidder, the Indian tractor manufacturer, at the initial price of RSD 66.8 million. 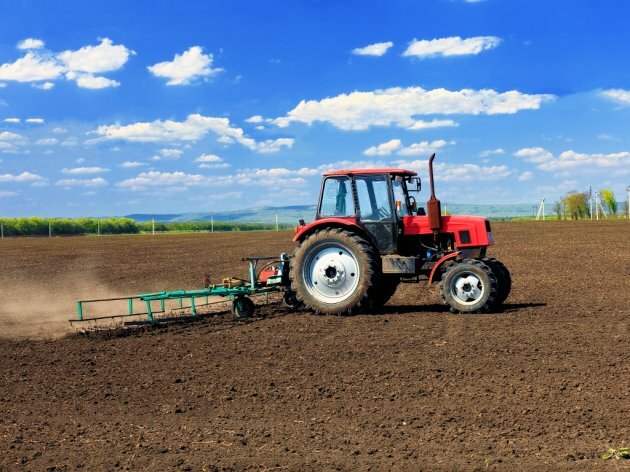 TAFE announced a multi-million investment, along with the production of at least 5,000 tractors in the next five years, aiming to reach the amount of 10,000, with direct and indirect employment of around 800 workers. At the 85th Novi Sad International Agriculture Fair, nine prototypes of future IMT tractors to be produced in Serbia were showcased. TAFE bought the IMT brand, as well as its intellectual property and five hectares in Jarkovac, where the former Yugoslav giant used to produce trailers. The ninth spot on our list belongs to the German company ZF Friedrichshafen, which started building a factory for engine systems for electric vehicles in June 2018 in Pancevo. EUR 160 million will be invested in it, and the plan is for up to 1,000 workers to be employed. The City of Pancevo let the German investor use building land in the North Business Zone for free. The first phase of the investment will be realized by 2021, and it entails the construction of a facility of 25,000 square meters on an area of 10.8 hectares, as well as the creation of 540 jobs. In the second phase, from 2022, the location is to be expanded and another facility of 25,000 square meters is to be built. ZF employs over 140,000 people in 230 locations in 40 countries, and its last year`s revenues amounted to EUR 36.4 billion. 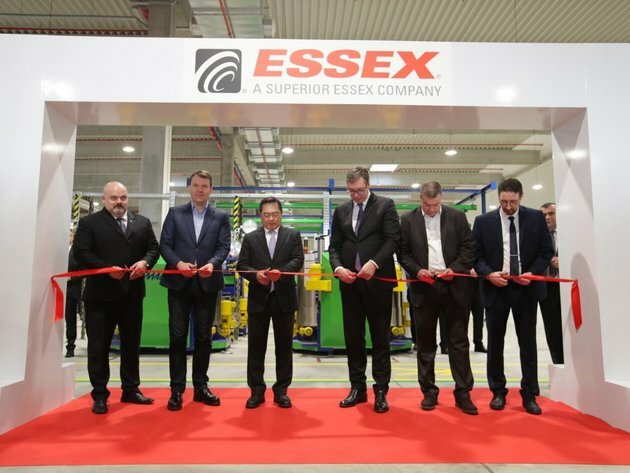 The South Korean company Essex Europe, which opened an enameled copper wire plant in Zrenjanin in November 2018, placed within the Top 10. The factory, in which USD 30 million was invested, takes up 15,000 square meters in the Industrial Zone Southeast-Ecka. A total of 150 workers should be employed here by 2023. The state incentives for this investment amount to EUR 1.6 million. Essex Europe develops new solutions for the electrification of vehicles, with the development of renewable energy sources. It is a member of Superior Essex, headquartered in Atlanta, USA, which is a part of South Korea`s Group LS, which produces electrical materials and electronics and has an annual turnover of USD 19 billion. The company has factories in countries on three continents: in the U.S.A, Canada, Mexico, China, Malaysia, Germany, Italy, Great Britain and France. The eleventh spot belongs to Kromberg & Schubert and their car cable factory in Krusevac, which opened in June 2018. EUR 20 million ha been invested in the factory so far, and the planned investments amount to EUR 29 million. At the moment, the 23,000 sqm facility in Krusevac has 565 employees, and another 200 are planned to be employed by the end of the year. Once the factory starts operating at full capacity, by 2022, there will be 2,500 employees. Minth`s project in Loznica placed twelfth. The agreement with the Chinese company Minth Automotive Europe, under which a factory is to be built in Loznica, where 1,000 people will be employed, was signed in October. Minth plans to invest EUR 100 million in the facility in Loznica, which will produce aluminum roof racks, vehicle covers, aluminum door frames and car batteries. As the Ministry of Economy announced, the investment will be realized in several phases. The thirteenth spot features Mei Ta`s second factory in Obrenovac, the construction of which began in April 2018. The investment is worth EUR 90 million, and the works on the construction of facilities on 50,000 square meters are to be completed within six to eight months. Mayor of Belgrade Sinisa Mali says that 1,100 people will be employed at the new factory. As announced, the second factory should be completed in May 2019. The fourteenth spot belongs to Wieland. The agreement on the investment of the German company, which plans to open a factory in Cacak, was signed on June 28, 2018. Wieland Electric Serbia started producing on October 8, 2018, in rented premises, and has so far employed around 50 people of Cacak. The fifteenth spot belongs to Leoni. The company marked the beginning of the construction of the facility in Kraljevo in August 2018, where it will employ 5,000 people by 2023. This will be the first new factory in Kraljevo after 30 years and the biggest Leoni factory in Serbia. The completion of the first 6,500 square meters of production space in Ratarsko Imanje, where around 150 workers, primarily engineers and technicians, will be employed, has been announced. In late January 2019, the test production of cable systems for Mercedes should begin. Leoni will invest EUR 60 million in the construction and the equipping of the factory in Kraljevo. The opening of Zumtobel`s LED lighting facility in Nis (16th spot), the announcement of the construction of CTPark Belgrade West and CTPark Novi Sad (17th spot), Nevsun`s investment in the Cukaru Peki site and the takeover by Zijing (18th spot), Egston`s cable system plant in Pancevo (19th spot), the plan of construction of a new facility of Kleemann Liftovi in Simanovci (20th spot), the new Albon car component plant in Ruma (21st spot), the opening of the new Henkel Somat plant in Krusevac (22nd spot), the Chinese electric buses at the Ikarbus plant (23rd spot), the construction of the Chinese industrial park in Borca, Belgrade (24th spot), the planned construction of a new factory of the Italian brand Ariston Boilers in Svilajnac (25th spot), the Caminada factory of injected plastic for electrical industry in Subotica (26th spot), the Wood Feel furniture factory in Kursumlija (27th spot), the Chinese-Serbian industrial park Smederevo (28th spot), the test run at the Rimaster cable factory in Paracin (29th spot) and the new Zastava Oruzje facility (30th spot). Take a look at our list of investments in the INDUSTRY category and compare it to your opinions, expectations and estimates. 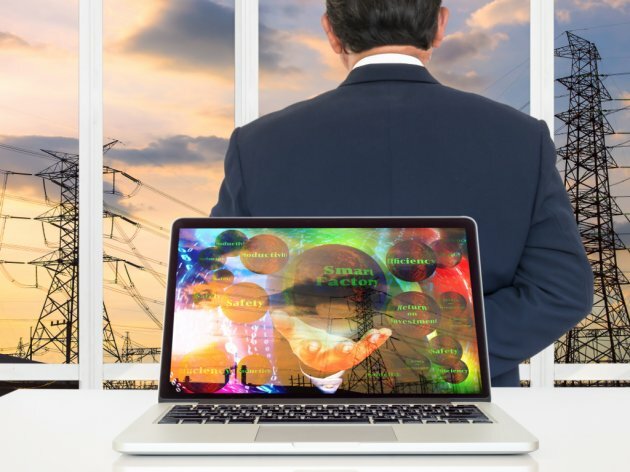 Also, have you seen which projects caused the most attention in the TRADE CENTERS, REAL ESTATE (residential and office space), PUBLIC UTILITY INFRASTRUCTURE AND ENERGY, TRANSPORTATION, TELECOMMUNICATIONS & IT categories?